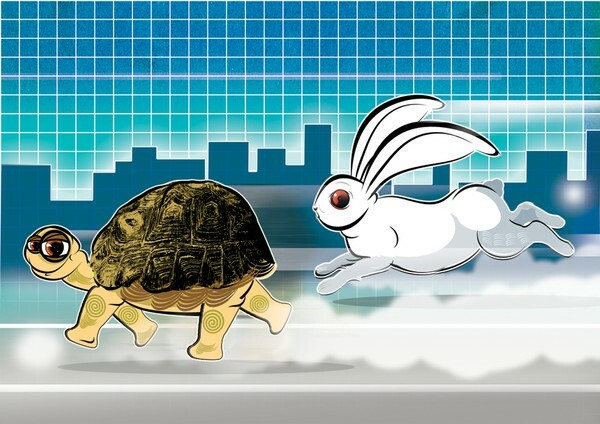 Very nicely done,...but if you remember the story, the tortoise won because the hare was overconfident and had taken a nap and overslept,...therefore loosing the race. But another analogy can be found in Admiral Yamamoto's words after the Pearl Harbor attack. ...great artwork here Anirban!! !